*Science Fiction, Fantasy & Horror: In the 1970’s Dennis Wheatley (author of To The Devil A Daughter and many more books in a similar vein) assembled a collection of books to act as a guided tour of the worlds of magic and mayhem. 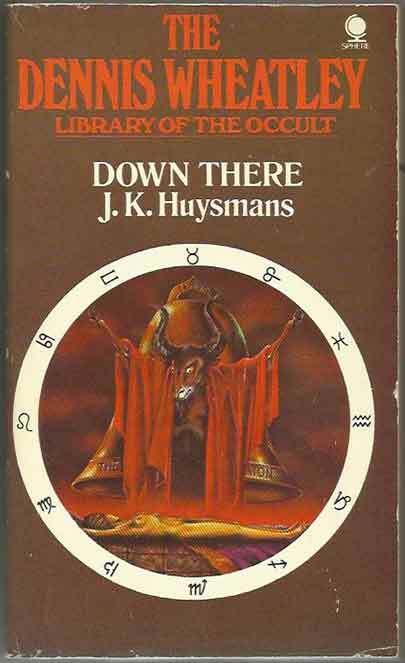 We have five books from this Library Of Occult: The Necromancers by R H Benson, The Gap In The Curtain by John Buchan, Down There by J K Huysmans, Voodoo by Alfred Metraux (a factual account, allegedly) and Harry Price Ghost-Hunter by Paul Tabori (a biography). Covering Ghosts, Necromancy, Prescience, Satanism and Voodoo these represent a good start for anyone wishing to broaden their knowledge of the occult (! ).